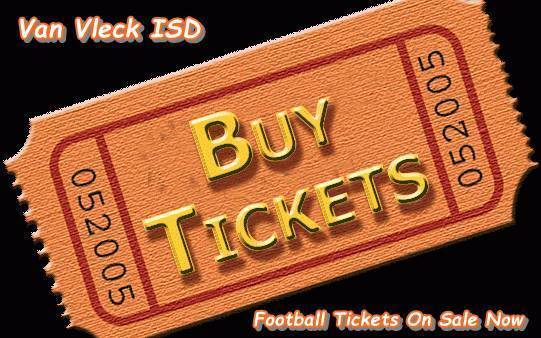 Presale tickets for the Yoakum vs Van Vleck game at Yoakum High School on Friday, October 27, 2017 at 7:30 pm are on sale in the Business Office. Presale ticket sales will end at 12 noon on Friday, October 27, 2017. Avoid the long lines at the gate, and purchase your tickets now!